国家环境经济政策研究与试点项目技术组. 国家环境经济政策进展评估:2014[J]. 中国环境管理, 2015, 7(3): 5-11. Technical Group of the Research and Pilot Program of Environmental Economic Policy. 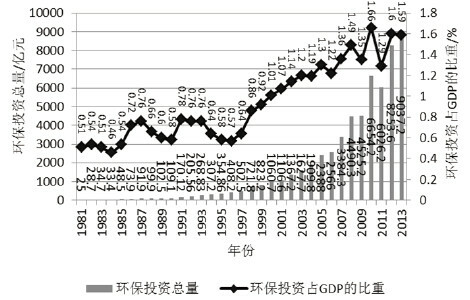 Progress Report of Environmental Economic Policy in China: 2014[J]. Chinese Journal of Environmental Management, 2015, 7(3): 5-11. Abstract: Environmental economic policy reform has made a great breakthrough in 2014.This paper assessed and analyzed theannual progress,achievements and problemsof the key environmental economic policy in 2014 with a comprehensive usage of the on-the-spot investigation method,the policy tracing method and the policy statistical analysis method,concluded the overall condition of the 2014 annual environmental economic policypractice progress,and then pointed out the focus and directionof environmental and economic policy reform in the next step. 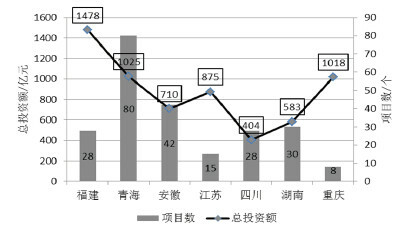 国家环境经济政策研究与试点项目技术组, 2014年国家环境经济政策进展报告. 环境经济政策创新改革之年——2014年国家环境经济政策进展报告[J]. 环境经济, 2015, (12): 4-13. 董战峰,王慧杰,葛察忠, 等. 七年, 环境经济政策进展几何?——基于政策文件出台数量变化的描述性统计分析[J]. 环境经济, 2013, (9): 22-29. 田丽丽, 林成淼, 赵柳薇. 天津市环境经济政策发展现状、问题及对策[J]. 未来与发展, 2014, (4): 99-104. 环境保护部环境与经济政策研究中心课题组. “十三五”时期我国环境经济政策创新发展思路、方向与任务[J]. 经济研究参考, 2015, (3): 32-41. 董战峰, 葛察忠, 高树婷, 等. “十二五”环境经济政策体系建设路线图[J]. 环境经济, 2011, (6): 35-47. 董战峰, 葛察忠, 高树婷. 关于“十二五”国家环境经济政策体系建设的思考[J]. 环境保护与循环经济, 2011, (5): 23-26. 董战峰, 李红祥, 龙凤, 等. “十二五”环境经济政策建设规划中期评估[J].环境经济, 2013, (9): 10-21.